Chinese President Xi Jinping will attend the 14th meeting of the Council of Heads of State of the Shanghai Cooperation Organization (SCO) in Dushanbe, capital of Tajikistan, and will pay state visits to Tajikistan, the Maldives, Sri Lanka and India from Sept. 11 to 19. Visiting Chinese President Xi Jinping and his Sri Lankan counterpart Mahinda Rajapaksa agreed Tuesday to strengthen the two countries' strategic cooperative partnership, and announced the launch of the negotiations on a free trade agreement (FTA). 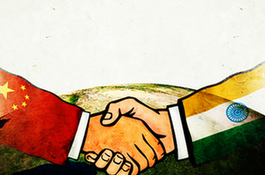 Xi Jinping's visit to India this week will test controversial Indian Prime Minister Modi's diplomatic skills. 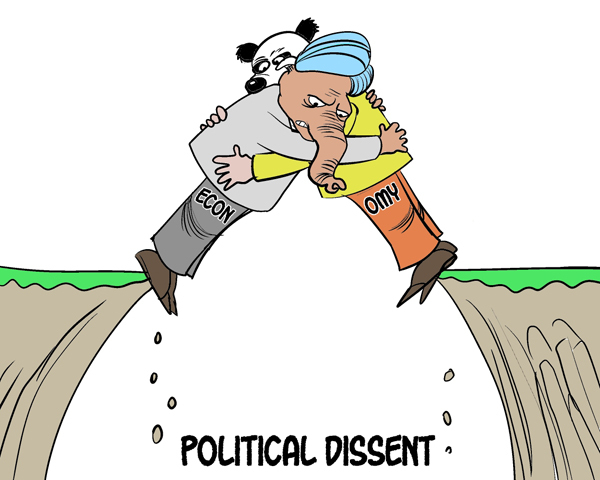 Will China-India ties take 'orbital jump'? 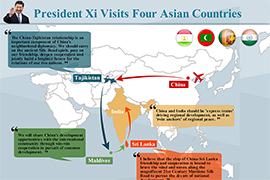 The visit of President Xi Jinping to India is being viewed as a path-breaking visit in terms of addressing the questions of "trust deficit" and "trade deficit". China's central bank announced late Tuesday that it had signed a 10 billion yuan (about 1.63 billion U.S. dollars) currency swap deal with the central bank of Sri Lanka. Indian Prime Minister Narendra Modi said Tuesday that he is looking forward to welcoming Chinese President Xi Jinping in his home state Gujarat. 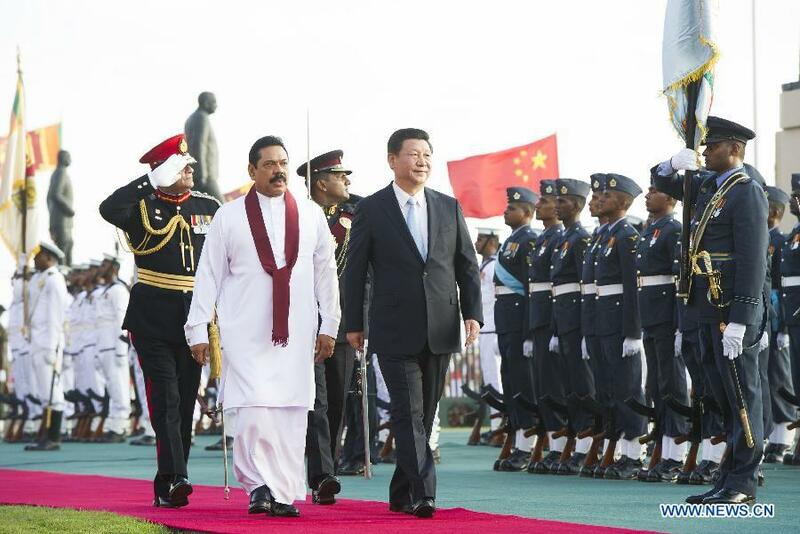 Chinese President Xi Jinping arrived in Colombo on Tuesday for the first state visit to Sri Lanka by a Chinese head of state in decades. China stands ready to work with Sri Lanka to consolidate their strategic cooperative partnership and pursue common development for a better future, says Chinese President Xi Jinping. 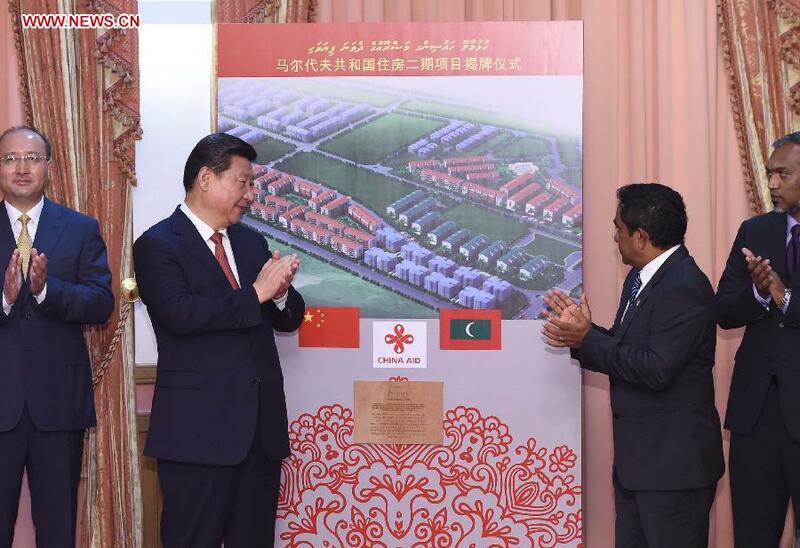 Second phase of construction project will be spread across nine coral islands. 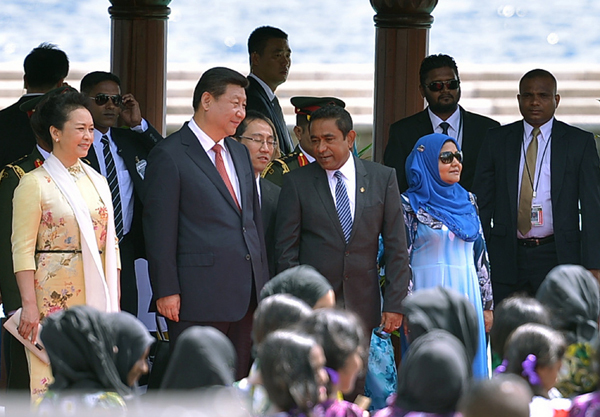 Chinese President Xi Jinping pledged Monday to share development opportunities with the Maldives. Russia will promote economic cooperation in the Shanghai Cooperation Organization (SCO) and take joint measures on issues such as energy security, Russian President Vladimir Putin said Monday.